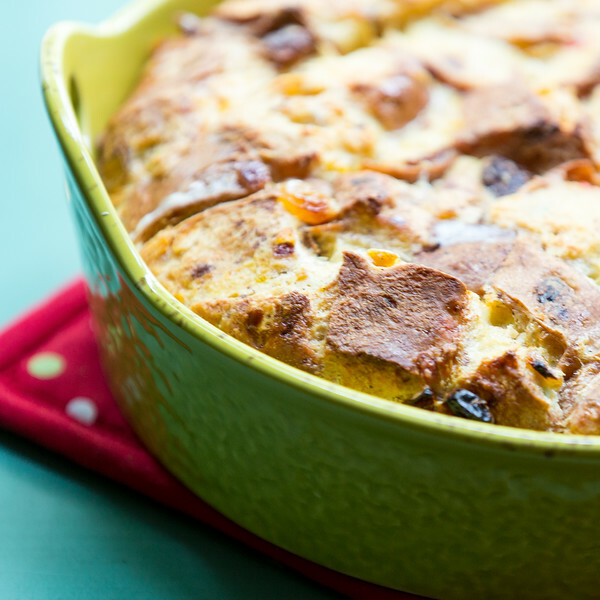 Hot Cross Buns Bread Pudding – the perfect solution to Easter Leftovers! 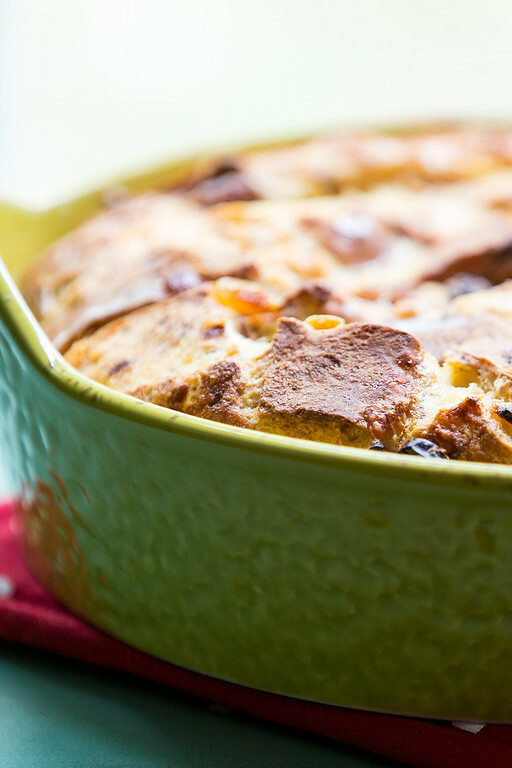 So good, though, you’ll want to buy extra Hot Cross Buns just make this delicious bread pudding! An easy Easter Dessert that everyone loves! Growing up one of my favorite foods of Easter were Hot Cross Buns. Oh, sure there was chocolate and eggs, but we had chocolate and eggs all through the year. We only had these buns around Easter. All year, I would wait until Good Friday, when we would go buy them. According to Wikipedia – they may have came from St. Albans, where a monk developed a recipe called Alban Bun and distributed it to the poor on Good Friday starting in 1361, marking it with a cross. I have tried to make Hot Cross Buns at home, but they never seem to match the magic that they had when I ate them as a child. After eating our Hot Cross Buns on Good Friday, I wondered what to do with the rest of them. They were too good to waste, but I wanted to do something different with them. Then I remembered the basic bread pudding formula in the cookbook, The Urban Pantry. Here is her basic formula: 1 cup cubed bread + 1 egg + 1/2 cup milk or cream = 2 servings. Bake covered for about 40 minutes at 350 and remove the cover for the last 15 minutes of baking. With that basic formula you can do whatever you want. Add herbs and spices for a savory bread pudding or dried fruits and nuts for a sweet. Really, the possibilities are endless! To bump up the flavor of the buns a bit, I added raisins and brown sugar. We loved this easy Easter dessert and it has become a family tradition. It’s creamy and sweet. Don't throw away those stale Hot Cross Buns, make this delicious bread pudding. 2 cups whole milk or a combination of cream and milk, or half and half, whatever you want! Preheat oven to 350. Grease a baking dish (my cute one from World Market doesn’t say what size it is, maybe 2 quarts?). If it’s not browned to your liking, give it a quick run under the broiler. Place cubed bread in baking dish and sprinkle raisins and cinnamon over the bread. Whisk the eggs and milk together with the pinch of salt. Pour over the bread and let it sit for about 10 minutes. Sprinkle the brown sugar over the top, cover with foil and bake for 40 minutes, uncover and bake for 15 minutes more. If it’s not browned to your liking, give it a quick run under the broiler. If you want to make this for Easter and you just bought your Hot Cross Buns on Good Friday, leave them sitting out on a platter over night, to let them dry up a bit. Note this was originally published in 2014 and updated for 2019. This looks amazing. And I love that little tricky for bread pudding. I’ll have to remember it. To be honest, I just eyeball it sometimes (usually with savory bread puddings). It’s not always the best idea obviously! I’ll use your cheater formula from now on!! I know, having the formula is great! I use it all the time! This is genius!!! I am always looking for ways to reuse holiday leftovers, and this is PERFECT. Awesome recipe, thanks!! What a great way to use leftover hot cross buns! Love this hot cross buns pudding. My husband is a huge fan of bread pudding so I am saving this recipe! Oh, he would love it! Never head bread pudding with these type of buns. Will try it out! Love this recipe Pam! Sharing it!! i’ve seen lots of hot cross buns perish because they just weren’t consumed at our easter meal, but this is a great save for them!!! Coming up with a basic formula was a great idea. A friend of mine was telling me about hot cross bun breading pudding recently – I so wish I’d tried it before they were all gone!! LOVE Hot Cross Buns! I’m so happy that I happened upon this particular post. Hubby won’t eat them, but I just can’t help buying them when I see them. Thank you! The real problem with making hot cross buns is that in about 12 hours they are going stale, and you feel bad about all the time you spent on them. That was actually a problem here this year, because I didn’t have enough people to eat the entire 4 dozen I made. Your solution sounds like a good one. I love that instead of searching for a recipe, you went looking for a formula!